The Ramada by Wyndham Portland Airport is a half-mile from the Colwood National Golf Club and 1.5 miles from Portland International Airport. If you're looking for a great (and cheap!) hotel in Portland, CheapTickets is the best place to find them. We offer deals on the best 387 hotels throughout Portland. No matter what you're looking for, we have options for you. Grab great rates on the 96 affordable 3-star hotels that are easy on the wallet without sacrificing comfort. Looking for more luxury? Try one of the 40, 4-star hotel accommodations in Portland. No matter your budget needs, we've pulled out all the stops to make sure you have plenty of vacation options. Maybe you prefer to search for your hotel deals based on what each hotel offers? For example, let's say you just want to find a hotel or resort that has a pool to cool off in after a long day exploring Portland. Scroll down to choose from the 179 hotels in Portland that has a pool for guests. Or search for deals on Portland hotels offering free wifi or breakfast, non-smoking rooms, and more! CheapTickets is here to be your personal travel agent for your next trip to Portland. Get booking today! What hotels in Portland offer free wifi access? Are there deals on Portland hotels offering free breakfast? Yes! The only thing better than finding a great deal on a cheap hotel in Portland is finding one that offers free breakfast. Grab some eggs, a waffle, or some healthy oatmeal before a day full of exploring Portland and all that it has to offer. Below are just some of the many hotels that offer free breakfast in Portland. Chestnut Tree Inn Portland Mall 205 is a 2.00 star rated hotel property in Portland that offers free breakfast. Country Inn & Suites by Radisson- Portland International Airport- OR is a 3.00 star rated hotel property in Portland that offers free breakfast. 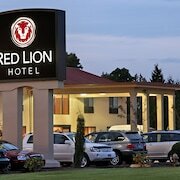 Red Lion Inn & Suites Vancouver is a 2.50 star rated hotel property in Portland that offers free breakfast. Shilo Inn Suites Hotel - Portland Airport is a 3.00 star rated hotel property in Portland that offers free breakfast. What about deals on pet-friendly hotels in Portland? Portland is a great place to get outside and explore with your pets in tow so don't leave your furry friends behind. Below you'll find great deals on hotels in Portland that allow pets. Don't forget to bring plenty of treats! Staypineapple at Hotel Rose is a popular, pet-friendly, 3.50 star hotel in Portland. 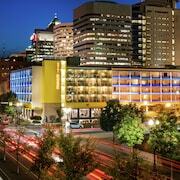 Hotel Modera is a popular, pet-friendly, 4.00 star hotel in Portland. Hotel deLuxe is a popular, pet-friendly, 4.00 star hotel in Portland. Kimpton Riverplace Hotel is a popular, pet-friendly, 4.50 star hotel in Portland. Any good rates on Portland hotels with restaurants? Absolutely. Don't want to deal with planning our all your meals on your trip to Portland? We don't blame you. Keep the hangry away by staying in one of the 75 hotels that have restaurants. With a room at one of these spots, all it takes to get a good meal is hopping in the elevator. Check out some of the most popular hotels in Portland that have restaurants below. 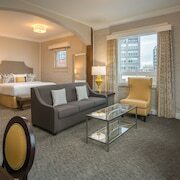 Book The Paramount HotelThe Paramount Hotel is a 3.50 star hotel and has one or more restaurant options. Book Hotel LuciaHotel Lucia is a 4.00 star hotel and has one or more restaurant options. Book Holiday Inn Airport - PortlandHoliday Inn Airport - Portland is a 3.00 star hotel and has one or more restaurant options. Book Hyatt Place Portland AirportHyatt Place Portland Airport is a 3.00 star hotel and has one or more restaurant options. What are the cheapest hotels in Portland with pools? What's better after a long day exploring Portland then a relaxing dip in a pool? Finding the Portland hotel you need for a bargain! Cool off and unwind at one of our 179 Portland hotels with a pool. Browse some of the top deals on these hotels and resorts with pools in Portland below, but be warned: You may not want to check out! Mark Spencer Hotel has a pool and a 3.00 star rating. Red Lion Hotel on the River - Jantzen Beach has a pool and a 3.00 star rating. Kimpton Hotel Monaco Portland has a pool and a 4.50 star rating. River's Edge Hotel & Spa has a pool and a 4.00 star rating. What hotels in Portland offer parking for guests? Once you've made your way to Portland, the last thing you want to deal with is finding parking close to your hotel. Avoid the hassle of parking around the block and carrying your luggage all the way to the lobby by booking one of our hotels with parking. Check out deals on some of the 203 hotels in Portland that offer parking for guests. Hyatt Place Portland Airport This hotel has a 3.00-star rating. Guesthouse Inn & Suites Wilsonville This hotel has a 2.00-star rating. Motel 6 Portland East - Troutdale This hotel has a 2.00-star rating. Portland Marriott Downtown Waterfront This hotel has a 4.00-star rating. Do Portland hotels offer 24-hour concierge services? When you're on vacation, things don't always go according to plan. Travel with peace of mind when you book one of our 55 hotels in Portland with 24-hour concierge service. That way you know help is always phone call or elevator ride away. Try Portland Marriott Downtown Waterfront. It's a 4.00 star rated hotel in Portland that offers concierge services 24 hours a day. 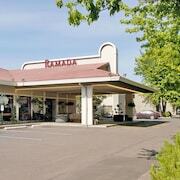 Try Radisson Hotel Portland Airport. It's a 3.50 star rated hotel in Portland that offers concierge services 24 hours a day. Try The Benson- a Coast Hotel. It's a 4.00 star rated hotel in Portland that offers concierge services 24 hours a day. Try The Heathman Hotel. It's a 4.50 star rated hotel in Portland that offers concierge services 24 hours a day. What about low rates on non-smoking hotels in Portland? The Benson- a Coast Hotel This hotel has a 4.00-star rating. Courtyard Portland Downtown/Convention Center This hotel has a 3.00-star rating. Best Western Plus Rivershore Hotel This hotel has a 3.00-star rating. The Heathman Hotel This hotel has a 4.50-star rating. What are the cheapest Portland 3-star hotel deals? Our 3-star hotels bring you quality accommodations at a lower price point for the perfect, budget-friendly vacation in Portland. With 96 3-star hotels throughout Portland to choose from, you still have options. Browse our selection below. The Paramount Hotel. This casual, intimate hotel overlooks Director Park and is located in the heart of downtown Portland near concert halls, art museums, Pioneer Square shopping, restaurants, and MAX Light rail and trolley. Staypineapple at Hotel Rose. Set across from the Willamette River and Tom McCall Waterfront Park, and river walk, this 5-story hotel is 4 blocks from downtown's Pioneer Place. Red Lion Hotel Portland Airport. Guests on the go appreciate the hotel's complimentary, 24-hour airport shuttle and a convenient location about 5 miles from Lloyd Center shopping and 8 miles from downtown Portland. Hyatt House Portland/Downtown. Downtown boutique hotel adjacent to light rail; close to Tom McCall Waterfront Park; within 4 blocks of Portland Art Museum. What are the best deals on 4-Star Hotels in Portland? Portland is full of hotels and it can be hard to narrow down where you really want to stay. Luckily, we've done that hard work for you be narrowing you from 387 hotels throughout Portland, to the 40 4-star hotels in Portland. Our 4-star hotels in Portland are exactly what you need for your next family trip, romantic weekend, or solo getaway. Check out our most popular deals below. Hotel Modera: Downtown boutique hotel adjacent to light rail; close to Tom McCall Waterfront Park; within 4 blocks of Portland Art Museum. 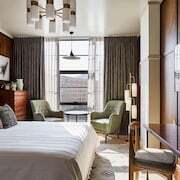 Kimpton Hotel Monaco Portland: The Hotel Monaco Portland - a Kimpton Hotel is within 6 blocks of shopping centers, theaters, museums, and the Westside Riverwalk. The Benson- a Coast Hotel: Built in 1913, this hotel is 4 blocks from Pioneer Square, MAX light rail trains, downtown shopping, and Pearl District shops, galleries, and restaurants. The Portland Center for the Performing Arts is nearby. Hotel Eastlund: This luxury full-service boutique hotel in downtown Portland Eastside with panoramic views of the city is across the street from the Oregon Convention Center and walking distance to the Moda Center. Portland's light rail system is adjacent to the hotel with easy access to the airport and metro area. What are the best activities to do in Portland? Small Group Columbia Gorge Wine & Waterfalls Tour: Starting at just $149 per person. Explore Portland - History, Parks & Neighborhoods Tour: Starting at just $79 per person. Hop-On/Hop-Off Trolley Tour of Portland: Starting at just $34 per person. Multnomah Falls & Columbia River Gorge Tour: Starting at just $59 per person. What are the most popular attractions in Portland? People travel to Portland from all around to witness the incredible sights and attractions. With 5 sights to see during your stay, you're sure to have a busy trip in Portland. Below, we've listed some of our favorites. AWESOME PLACE GOOD FOOD AND AWESOME PEOPLE.. very claen place plenty of parking really liked this place and very fair priced. The staff is incredible! They are extremely friendly and willing to help however they are able. The breakfast is great and the hotel is immaculate! Hotel was close to everything we needed. Comfy beds. Clean rooms. However, Valet is the only option and it was really expensive. The room was very nice and clean. Great price and good location. Very nice accommodations. All staff had excellent customer service skills and we really appreciated that. Our room was wonderful and kept clean.